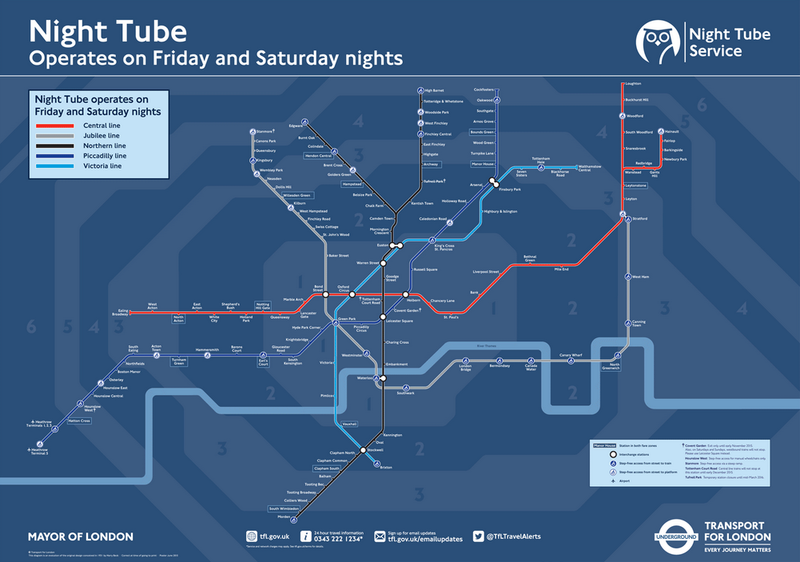 Transport for London (TfL), the organisation that runs the London Underground or Tube, has announced a nighttime service called Night Tube. It is not for the entire system, but only a few specific lines. That means that TfL needed a new map. And that means that everyone will want to create their own version of the Night Tube map. So this article at City Metric looks at just that. The TfL version is shown below. Credit for the original goes to Transport for London.